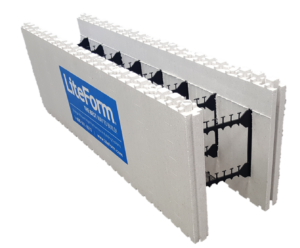 LiteForm is a molded ICF “Block” form for single story or multi-story residential or commercial projects. Flat, monolithic cavities accommodate all rebar requirements. Continuous polypropylene fastening strips, molded corners and exclusive accessories make set-up and bracing quick and simple. High density packaging reduces shipping and handling costs up to 50% (when compared to rigid ICF systems). Full hardware packages are available to build virtually any wall shape. 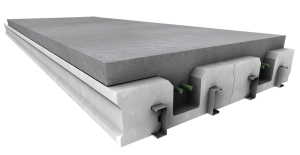 LiteForm is a knock-down ICF “Plank” form that can be used for single story or multi-story residential or commercial projects. EPS Planks and plastic Spacer Ties are normally assembled at jobsite. Allows for assembly ‘through’ pre-placed rebar. 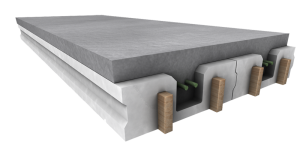 Flat, monolithic cavity will accommodate all rebar requirements. Pre-molded corner and exclusive accessories make assembly, set-up and bracing fast and easy. High density packaging reduces shipping and handling costs up to 50% (when compared to pre-assembled ICF systems). Hardware packages are available to build virtually any wall shape. 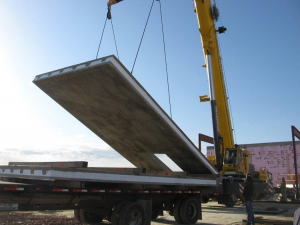 LiteDeck® has developed a “hybrid” forming system for elevated concrete slabs. LiteDeck® WRS (Wood Rib System) is comprised of high density EPS foam decking and standard 2×6 lumber. 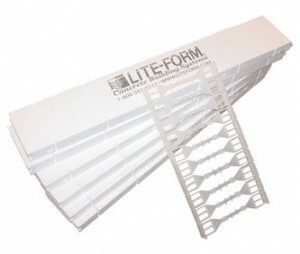 The patented LiteForm TILT system consists of expanded polystyrene panels and 18-guage steel attachment rails. The panels provide a fast, lightweight casting bed for all kinds of site-cast, tilt-up concrete walls. Insulation panels can be incorporated as part of an energy efficient wall with a nominal R-30 insulating value. Or, the panels can be modified to be used several times to cast conventional, non-insulated concrete walls.